As we reported late last year, there will be two films that feature Hercules this year. One came out at the start of the year, which was directed by Renny Harlin, and wasn’t too good. You can read that review HERE. The other one has me more excited, but not by much. I’m not a fan of director Brett Ratner (‘Rush Hour‘), but this film will star Dwayne ‘The Rock’ Johnson as Hercules, so that has me intrigued. I don’t care what it is, but The Rock is so charismatic on screen, I’d watch him in anything. And that brings us to this new trailer for ‘Hercules‘, which showcases The Rock as Hercules fighting tons of three headed creatures, zombies, and even gives a giant lion the people’s elbow. 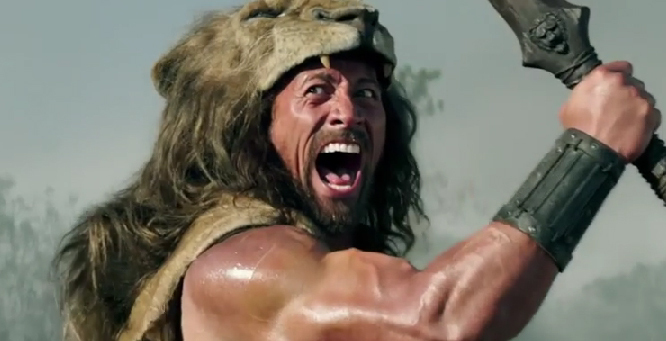 I’m not expecting much from this movie, as it looks to just be The Rock yelling “I am Hercules” and killing things, but what more do you really need? Enjoy the trailer. This entry was posted on Tuesday, June 3rd, 2014 at 9:31 am	and is filed under Film, News. You can follow any responses to this entry through the RSS 2.0 feed. You can skip to the end and leave a response. Pinging is currently not allowed. « PODCAST #35 – Best TV Series 90′S – Present Bracket – Championship! !